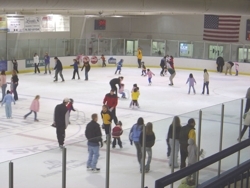 People of all ages are welcome to practice skills, skate for fitness or just enjoy skating. Plenty of rental hockey and figure skates are always available. These times are subject to change. Please check the calendar or call ahead at (847)362-1222 for more exact days and times.